COLLEGE PLACE, Wash. --- In a move that Walla Walla University administrators described as "a membership transfer and not a sale," operational control of the school is being transferred to Sisters of Providence health system. This marks the first foray of Catholic Providence into traditionally Adventist higher education. Providence will take over operational control of the school this summer. The Catholic organization promised to keep in place elements of Adventist heritage. The school will continue to serve Stripples, the bacon substitute popular with Adventists. However, Providence insisted that they would also start serving "the real deal as a substitute for a substitute." In a special concession, Saturday worship services can still take place on campus as long as Providence approves sermons ahead of time. "We want to always honor both heritages,” stated Providence spokesperson, Dom Ingo. “We do have great respect for each other’s mission. This is not about Adventist or Catholic, but about the realities of having to balance the budgets of sheep that have strayed from the fold." Deceptive and inaccurate. Total hogwash. A l.i.e. by any other name is still a l.i.e. Too soon Barely Adventist fot this satire! Shame on you! Wounds are running deep here and the community of Walla Walla not yet able to laugh over the news we are trying to take in here. Stick to haystack stories! Will I be able to graduate from WW as a Jesuit? No more infiltration? This is a real deal? Sign me up for courses!! There’s a Jesuit hiding under every rock at Walla Walla. Along with the Communists. I’m not sure how they can all fit under those rocks; I guess their leaders shrink them first, sort of like “Honey, I shrunk the kids.” I bet you’re a Jesuit too, Richard. (And don’t try to deny it, sir. That will only prove it’s true — because Jesuits always deny it.) Woe is you! Brother Harry- I neither confirm or deny my association with the SOJ. I know about Notre Dame. Georgetown, Holy Cross, Fordham, Loma Linda , the Cosa Nostra and a few other learning institutions. Been there. Done that. Don’t let the cat out of the bag. Bless you, Brother. A candle is lit for you this night of all nights. Yes, WOE IZ ME!! Sigh of the times! So is the pope going to show up at the hospital and take communion and kiss the feet of the conference men just like he is doing with all the other religions this Easter season. Especially since he is welcome at the hospital. Might as well. Walla Walla Bing Bang. ooo eeee ooo ahh ahh, thats what the witch doctor said to me”. A very interesting song indeed in that 50s song. Many of us are all sick over the mismanagement by all those witches in charge. 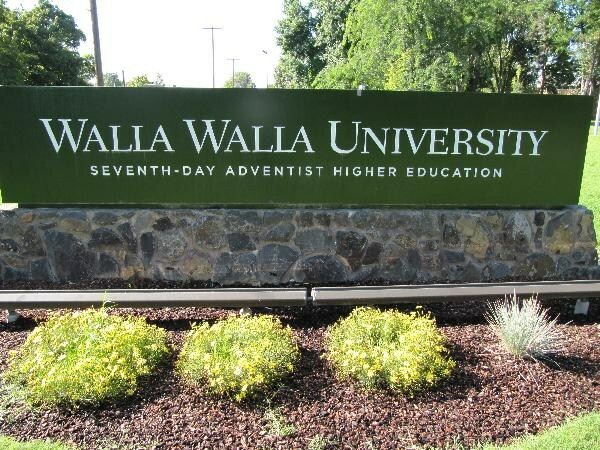 When we go to the WallaWalla Adventist Hospital and check in because we are ill from this spreading sickness do we become automatic “members” of the Catholic church ? But I don’t want to change membership, the article on line says the hospital is combining memberships. Will they try to sprinkle us when we aren’t looking. Oh, no! Refuse bed baths folks. So what if we stink. The general SDA public was never given a chance to rally and provide money to fix this shortage of funds or regroup. We must have been too busy home on the farm and stinking anyway for them not to approach and let us know. So raise a stink! That Hospital is off limits to me now. I don’t want to be sprinkled. I have lost all love for this apostate leadership on the west coast. Don’t tell me there is more I can’t take it. Is it time to give it all up to the catholics and let it all go? Right, we already did. No, the leaders already did it. Excuse me, I need to hurl. No, please, don’t check me into that hospital. Lets try Loma Linda not that one. I don’t care if they do have new carpet and landscaping or a new information desk. No, I don’t want crackers with my wine.